Pops on the Plaza, sponsored by the City of Monroe will be held on Mother’s Day, Sunday, May 12, 2019, 7 PM at the Main Street Plaza in downtown Monroe. 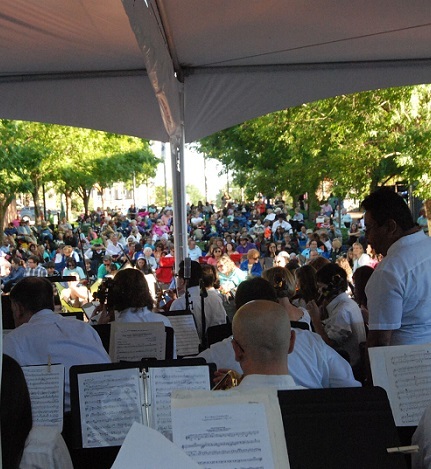 The Union Symphony Youth Orchestra will join Union Symphony Orchestra for this outdoor event. Pops on the Plaza 2017 took place on Sunday, May 14 at the Courthouse Plaza on Main Street in historic downtown Monroe. The overture performance was by the Prelude Junior String Orchestra and Union Jazz. Under the direction of Dorian Neuendorf, Union Symphony Youth Orchestra joined Union Symphony Orchestra for a free outdoor concert. This event is sponsored by the City of Monroe. 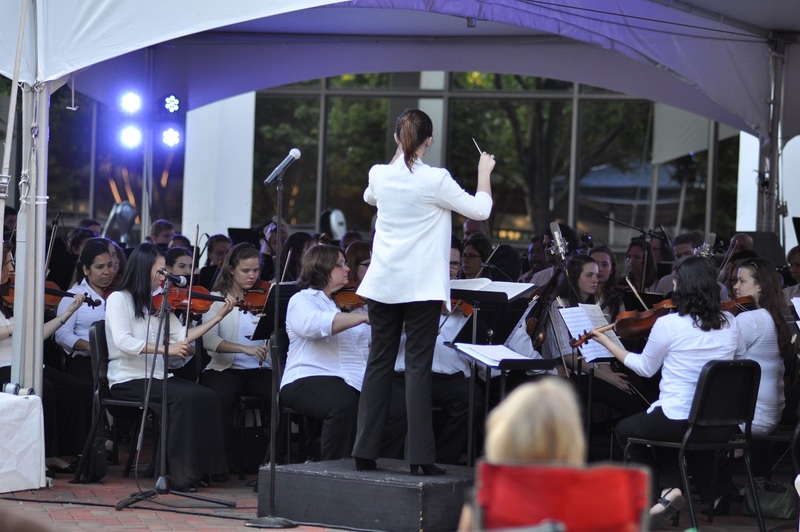 Directed by Mercedes Diaz-Garcia, the Union Symphony Orchestra and Union Symphony Youth Orchestra performed Bernstein’s West Side Story and other fun favorites on the Plaza in Downtown Monroe on Sunday, May 15, 2016.